SustainSuccess can provide a range of different sustainability services to help with your Sustainability challenges. We deliver results not reports, as can be seen by some of the recent projects described below. SustainSuccess staff can provide services directly to clients or as Associates supporting other consulting firms who require our unique expertise and track-record of delivery. We have undertaken numerous ESOS Assessment on behalf of large multi-site UK businesses. Both the company Directors are registered ESOS Lead Assessors. We have led in the implementation and successful certification by Peel Land and Property in the ISO 50001:2011 Energy Management Standard. Delivered US$33m energy efficiency savings for BP Refineries and Petrochemicals Facilities for an investment of US$8.8m. Assisted in hundreds of resource efficiency projects world-wide with a combined savings for clients of 100’s of millions of $ encompassing energy, water and waste. Clients include Asda, Unilever, Hilton, Ford, Jaguar, Rio Tinto, Phillip Morris, Tata, First Energy and many others. The Peel Group is one of the leading infrastructure, real estate and investment enterprises in the UK. Peel’s diverse network of businesses ranges from ports to airports; land to leisure; media to hotels; wind farms to biomass; retail to residential and a portfolio of investments in major public companies. The Group’s vision is to create sustainable environments where people and businesses can flourish. Over 10 year’s engagement we have provided an extensive range of value-adding and compliance services to Peel Group companies. We assisted the Carbon Trust in updating criteria for several of the Energy Technology List categories, as well as providing an independent technical reviewing of applications by manufacturers for products to be included in the list. Our involvement has been quite extensive with a total of 18 research projects completed on refrigeration, air conditioning, heat pump and waste heat technologies. We provided the review lead for the technical due diligence carried out on six projects as part of the Scottish Government’s Low Carbon Infrastructure Transition Programme (LCITP). We undertook a Demand Side Reduction opportunities review for a large UK property developer which identified a range of potential income generation mechanisms. As part of the study we shortlisted potential aggregators, liaised with them to obtain their firm commercial offers and assisted the client with evaluating the responses. See MACC Builder Pro tool, which will produces very professional Marginal Abatement Cost Curves. We are developing a useful lighting hours calculation spreadsheet which uses location to calculate average lighting hours. 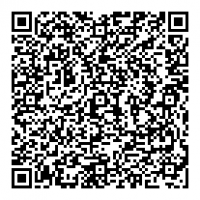 As part of our contribution to fellow practitioners we have made this tool available free of charge. MACC Builder Pro has been downloaded hundreds of times and is in use by organisations as diverse as the United Nations in Vietnam and the Great Barrier Marine Park Authority in Australia. We have also developed decision-support tools for other organisations. We have contributed to Gluckman Consulting’s HFC Outlook Analyser tool, which is being deployed to support developing countries phase-out high global warming potential gasses. Together with colleagues at ERM we helped the World Bank’s ESMAP develop version 2 of the Tool for Rapid Assessment of City Energy (TRACE): Helping Cities Use Energy Efficiently. This has been used by over 80 cities to develop long-term energy efficiency strategies and investment pipelines. Also with ERM we helped the World Bank’s ESMAP develop MAC Tool, which provides rich functionality to develop and draw Marginal Abatement Cost Curves. 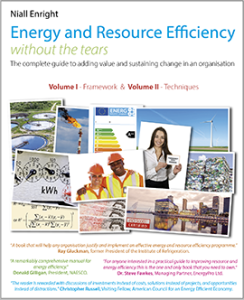 SustainSuccess offer a number of training packages available, largely around Energy and Resource Efficiency. We thrive on helping clients – and other consulting firms – improve their understanding and effectiveness in achieving sustainability and resource efficiency. Our highly-rated 2-day Energy Management Essentials Course offers an up-to-date and structured approach to energy management for both new practitioners and experienced folks wishing to refresh their understanding of the subject. The training is in a workshop format with many practical exercises, games and discussion opportunities to maximise the learning. The two days cover Operational Energy Savings and Project-led Energy Savings. High-quality handouts ensure that the practical techniques delivered can be accesses many months or years after the event. The finance elements, focusing on helping organisations to develop business cases, have been incorporated into training offered to Greater Manchester SME’s by the Manchester Growth Hub. Provided sales support, training, tools and ongoing mentoring for South African team of ERM to successfully introduce innovative resource efficiency program to the industrial market. Do you have a project where you want to consider all aspects of value that sustainability can bring? Our experience in financial modelling and environmental externality costs may help present the project in a new light. With ecosystems valuation now a hot topic, these kinds of models are going to be increasingly important to inform decision-making around long-term capital investments. Assisted leading UK Supermarket chain incorporate a price of carbon into financial appraisal. This innovative project was supported by the Carbon Trust. Created model to integrate costs of externalities for 9 Dow Jones Sustainability Index factors into the capital approval process for a global chemicals company. We have a very strong business development track-record and can support Consulting organisations with sales and bids. If you have a large proposal coming up perhaps a focused independent perspective will make the difference between success and failure. One technique for large bids is to have a “blue team; red team” process focused around the selection criteria for the bid. We can help put in place this type of bid review and have the documentation necessary to support the process. If you are a Consultancy in the Sustainability space, perhaps an independent view on your strategy may be helpful? We have developed numerous go-to-market strategies for large consulting firms like Enviros and RPS, in a variety of markets from Europe to the US to Australia. Multi-lingual sales campaign for leading UK refrigeration operator to sell a quantity of R22(R) to European distributors. As a seasoned public-speaker and writer, Niall Enright is able to support a wide range of efforts to communicate sustainability features and benefits. Do you need someone to speak on climate change at a key event? Do you need some marketing communications reviewed? We are happy to help with any of these. We supported the global environmental consultancy ERM’s promotion of sustainability services to the Czech property market through plenary presentation to 400 participants at the 2012 Czech Green Buildings Council conference in Prague. The presentation was entitled “Sustainability and Value Creation” and focused on the business benefits of sustainability in the property market. 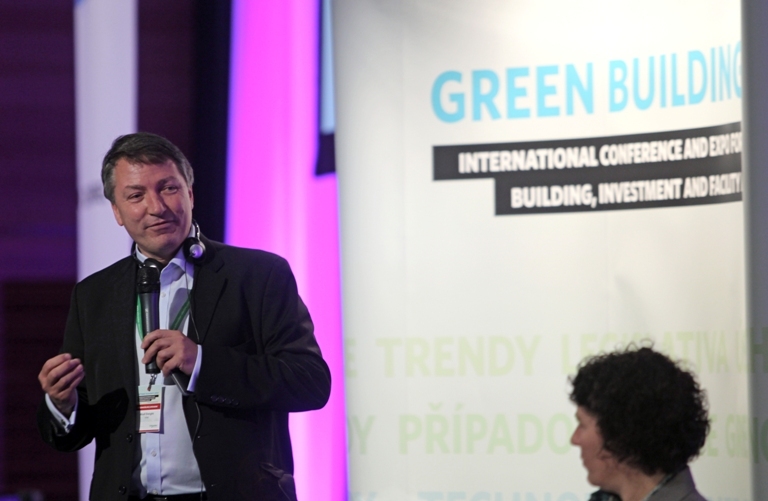 Niall Enright sharing the platform with Jane Henley, CEO of the World Green Building Council. As an MD of several businesses Niall Enright is very experienced in business leadership and has been involved in a number of turn-arounds. He can offer interim management services within the consultancy or professional services fields, as part of a start-up, business improvement process or to fill a short-term vacancy. As Interim Director of Climate Change Strategy reporting to Main Board of global consultancy RPS, Niall developed and consolidated a range of service offerings, strengthened climate change expertise and capacity, and produced a strategy for the booming Australian market. As Interim MD of Tribal Post-Compulsory Education Services, Niall Enright merged two businesses to form a coherent offer to the UK Further Education market while dramatically increasing profitability.